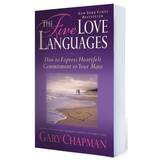 Dr. Gary Chapman, Christian counselor and author of The Five Love Languages, writes about the importance of being able to express love to your spouse in a way that your spouse can understand. He calls this type of communicating using the five love languages. This is when you say how nice your spouse looks, or how great the dinner tasted. These words will also build your mate's self image and confidence. Some spouses believe that being together, doing things together and focusing in on one another is the best way to show love. If this is your partner's love language, turn off the TV now and then and give one another some undivided attention. It is universal in human cultures to give gifts. They don't have to be expensive to send a powerful message of love. Spouses who forget a birthday or anniversary or who never give gifts to someone who truly enjoys gift giving will find themselves with a spouse who feels neglected and unloved. Discovering how you can best do something for your spouse will require time and creativity. These acts of service like vacuuming, hanging a bird feeder, planting a garden, etc., need to be done with joy in order to be perceived as a gift of love. Sometimes just stroking your spouse's back, holding hands, or a peck on the cheek will fulfill this need. How do I express love to others? What do I complain about the most? What do I request most often? Speaking in your spouse's love language probably won't be natural for you. Dr. Chapman says, "We're not talking comfort. We're talking love. Love is something we do for someone else. So often couples love one another but they aren't connecting. They are sincere, but sincerity isn't enough." The number one emotional experience reported by folks is feeling the presence of God in their lives. The emotional high of being in love (which generally lasts around 2 years) is the second highest emotional experience that people reportedly have. That is why it can be so difficult to try and talk some sense into someone who is in the midst of falling in love. Chapman stated that obsessive love can render people mentally incompetent. "There's not much difference between being in love and being insane." After the first or second year of marriage, when the initial "tingle" is starting to fade, many couples find that their "love tanks" are empty. They may have been expressing love for their spouse, but in reality they may have been speaking a different love language. The best way to fill your spouse's love tank is to express love in their love language. Each of us has a primary love language. Usually, couples don't have the same love language. Dr. Chapman recommends that you have a "Tank Check" 3 nights a week for 3 weeks. Ask one another "How is your love tank tonight?" If, on a scale from zero to ten, it is less than 10, then ask "What can I do to help fill it?" Then do it to the best of your ability.